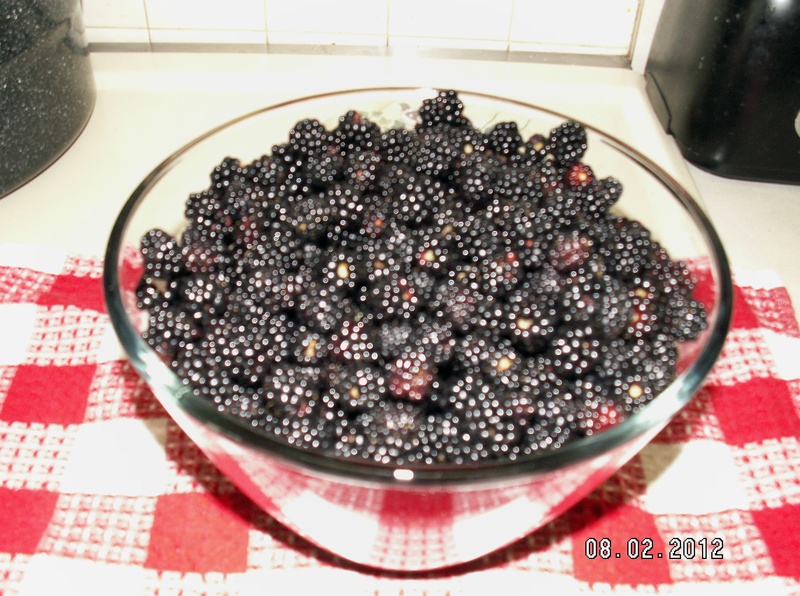 The blackberries I harvested this year were incredible. In the 11 years that I have lived in my neck of the woods, I’ve never seen this “much” abundance. You may be wondering what I’ve done with the bounty. First, let me assure you of the soundness of my mind as I tell you that I love to pluck the little jewels . That’s what they look like to me; jewels adorned with the glistening sun.When I see the berries shining in the brightness of a summer’s day and begin to gently pick the fruit, I am filled with joy and peace. Yes, I thoroughly enjoy standing amongst the canes that randomly shoot out in graceful arches, in spite of pricks from their thorns…where the harmless snakes have slithered oh-so-close for this nature-girl’s comfort…where the birds twitter because your are in the middle of their crop, thank you very much…where the spider crawls and hang in the intricate weaving of its web…where the mosquitos buzz about, sometimes lighting to enjoy a feast of their own. 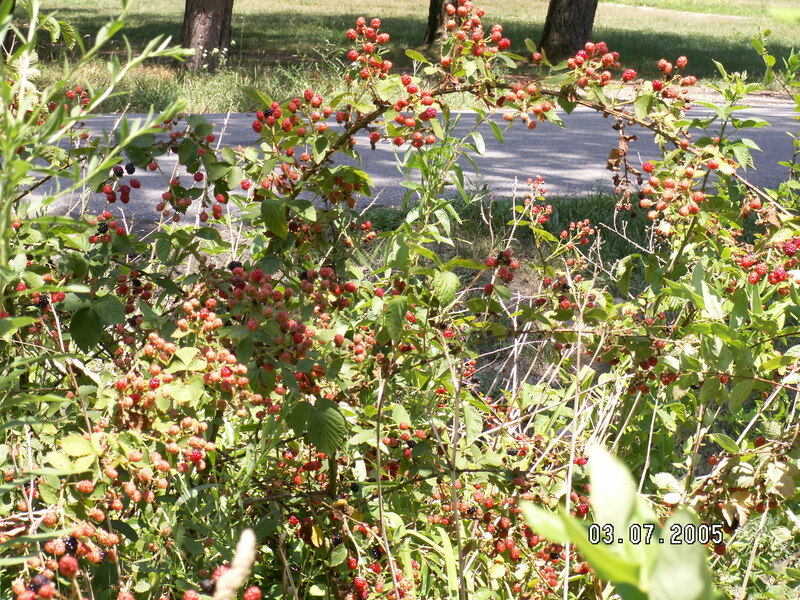 I love picking the wild berries. I have learned to don my armour of long-sleeved jean shirts and long jean pants that cover every inch of skin on my arms, legs and ankles. 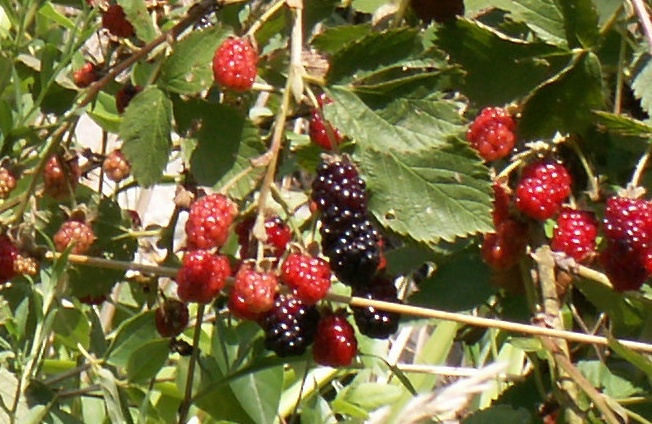 I have worn gloves in the thickest of blackberry patches to lessen its prickles. However, with all my efforts to avoid the hazards of berry picking, I sit here today with a few stubborn prickles still embedded in my flesh.